So, it's low season in Phuket right now, aka summer season or green season. 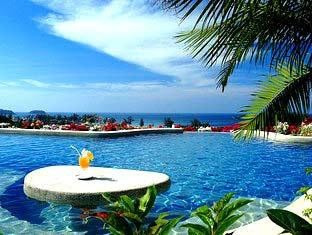 Over the years I have been busy reporting on the weather, trying to prove that Phuket is pretty darn nice year round. Yep, you are going to get some rain sometimes, more likely in low season than high season, BUT there's a big advantage. 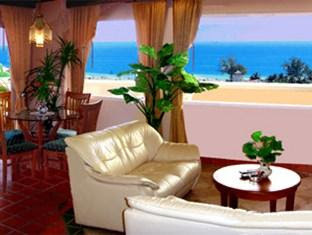 You can book the best hotels such as the Pacific Club Resort at much lower prices than high season. 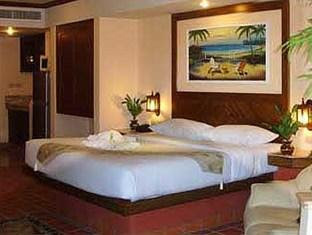 You can stay here for just over 1,000 Baht per night at this time of year. And the weather is still nicer than "back home"! The Pacific Club Resort is one I have meant to write about for some time and was just reminded of it by customers who came in yesterday who were staying at Pacific Club. This resort has something special about it. Must do, since it's rated as one of the best hotels in Karon Beach by TripAdvisor users, and is listed in the top 10 family hotel list for Phuket. For me, it has several plus points. Firstly - location. It's on the hillside overlooking the north end of Karon, with the jungly hill behind and the Andaman sea in front. Some might say that's a poor location. Some people want to be right by the beach, but it's only 10 minutes walk to the beach, and the hillside location is quiet and gets plenty of fresh sea breezes. Second - it's not a huge resort. There are only 40 rooms, so it's not crowded at the pool, or the gym, or the sauna.. a lot of facilities for a resort of this size. Free Wifi connection in all rooms too. And then there's the food. The Pacific Club owner, Eric, is also a chef and ran the Karon Cafe and Restaurant for many years before opening this new resort. They specialise in steaks and lamb, fresh pasts dishes, seafood, TexMex food. And it's not expensive either. 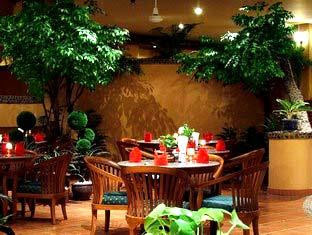 In fact I think I will go eat lunch there next week one day and do a restaurant review here. Just been checking the menu online and can see that my diet is ruined!